¡Coño! In those few lines you can feel the hatred, the hurt and the many reasons you should never, ever F with Paquita. Her feminist odes weren’t only takedowns of no-good men, they lifted up her fellow mujeres who were wronged by these queso-loving fools. 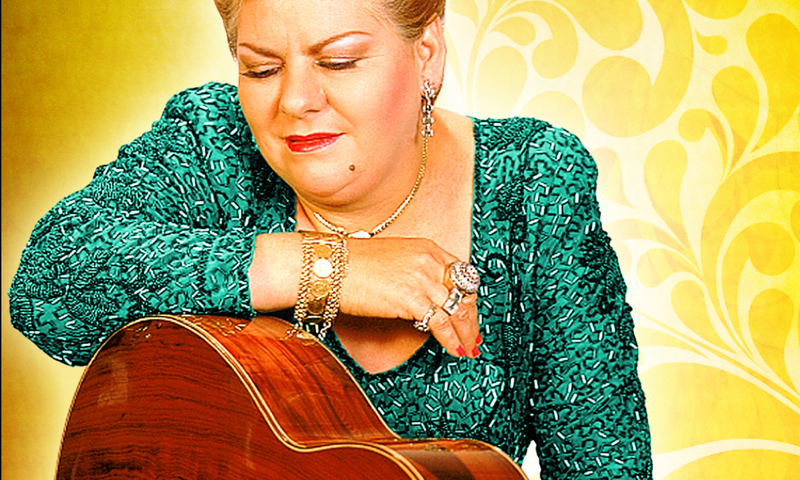 Paquita clearly influenced a generation of Regional Mexican and Latinx pop female artists such as the late Jenni Rivera, Alejandra Guzmán and Ana Bárbara. Here, Bárbara, a superstar in her own right and Paquita collaborator, tells us about the Veracruz legend’s long-lasting impact. Paquita La Del Barrio is, for me ,an artist in the full extension of the word, because she has developed an admirable career from the beginning. She is undoubtedly a model woman and point of reference to follow and admire. Not only because of her spectacular voice and her original style as an artist, but as well as being emblematic as a female character in the Latin American music industry. Her peculiar way of being and the way she mischievously expressed herself organically impacted the industry as a whole. To a certain extent, her style defended itself against the injustices that a woman might suffer in a male-dominated genre. She became the voice of many women who identified with her style and her natural way of interpreting and singing each of her songs. Undoubtedly, “Rata De Dos Patas” and all her songs are heard everywhere and are danced to in all social circles in any type of party regardless of genre or gender. Personally, I am proud to be a singer inspired by our icon, Paquita La Del Barrio. *Editor’s Note: Ana Bárbara’s quote is translated from Spanish.